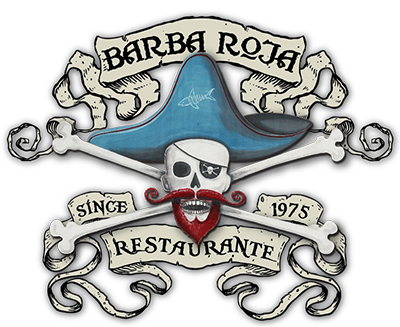 The Barba Roja restaurant is a landmark of Manuel Antonio, having been established in 1975, it is one of the oldest restaurants in the area and continues to thrive in providing quality service to it’s customers, Pura Vida! Whether you like a light or He-arr-ty breakfast, our options range from traditional Costa Rican dishes to a typical American dish of Bacon, Eggs, and Toast. Everything you’re craving mid-day. Burgers, nachos, wings, and plenty of fresh seafood selections. If you want an excellent dining experience it would be a mistake to overlook our dinner options. Serving succulent steak cuts, fresh caught seafood, salads, pastas, and of course our famous savory slow-smoked ribs! If you have a sweet tooth, our cheesecake, coconut flan, lemon pie, and fresh baked brownies are sure to fufill your cravings! A part of Manuel Antonio tradition since 1975, the Barba Roja Restaurante is a favorite local hangout with a spectacular viewing area overlooking the ocean and jungle; perfect for viewing the sun set. Open for breakfast, lunch, dinner, and dessert; 7 days a week. Join us for Happy Hour daily from 4pm-6pm. Every Tuesday and Friday we host live music, on Wednesday we have ladies night and karaoke. If you enjoy sports, tune in, we have 5 big large screen TV’s showing sports programs daily. If you are a gourmet, we offer a global approach to our cuisine with reasonable prices. 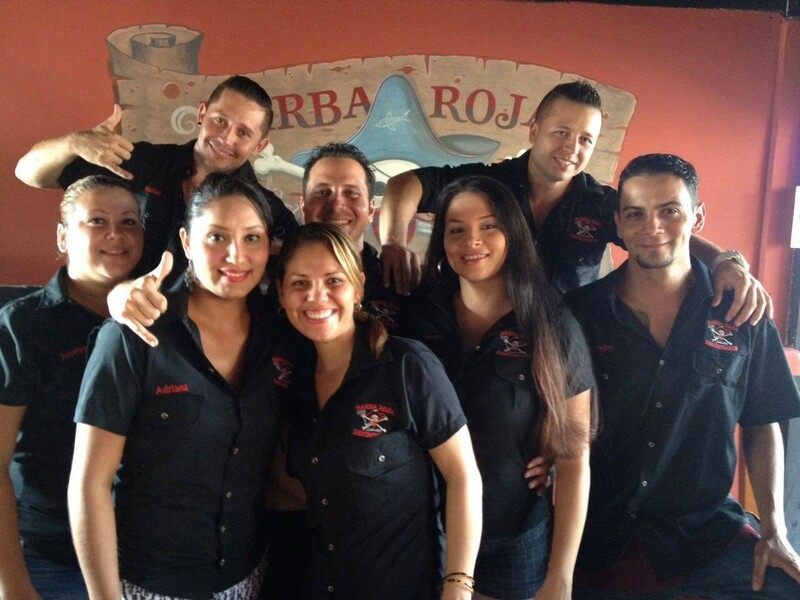 The Barba Roja Restaurant is the first established business in Manuel Antonio, Costa Rica. A local favorite watering hole, with daily specials, fresh fish of the day, smokehouse, steakhouse, sushi and the best drinks in the rainforest! One of the oldest restaurants in the area and continues to be one of the best. The cuisine ranges from spicy to sweet, tropical to traditional, but always exceptional.